Senior graduate students in the MBA in Management program at Berkeley College have a new team project to manage – their upcoming global immersion trip to India. The trip will take place April 14 - 27, 2017, and introduce students to international companies in the two major cities of Mumbai and Delhi. 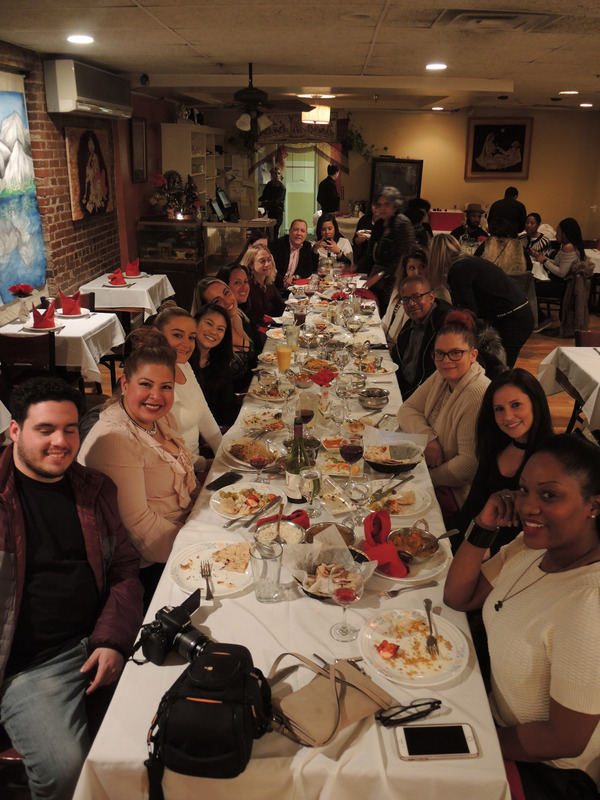 Some of the students recently met for dinner at an Indian restaurant, Chutni, in Montclair. Through collaborations with the Welingkar Institute of Management Development & Research in Mumbai, students will benefit from both classroom and field experiences in global businesses. Plans include visits to global companies representing the auto manufacturing, software service, retail and advertising industries. In New Delhi, India’s capital city, visits are planned to Microsoft India and PepsiCo India. “The students also will gain experience working on various aspects of this large team project as it relates to our trip,” said Maya Reddi, PhD, faculty member and program manager. The responsibilities and functions for the team include: accounting, individual day captains, photography, blogging, transportation, ticketing, visa procurement, and group communications. Ms. Shaver, whose work at a global firm now focuses on operations in the United States, will seek to shift her career focus more to global operations in the future.